Dimensions (HxWxD): 3.75" x 1.6" x .95"
This large one of a kind, beautiful natural unpolished gemstone quality 3.75 inch long AAA Smoky Brandberg Phantom Isis Twin Wand, weighing 3.85 ounces, or 109 grams, is a Lightworker's power tool and a unique mineralogical collector's item. It has all the best features of a Brandberg Amethyst, namely multiple phantom mountains of deep smoky and grape jam purple coloration. This magical twin exhibits flawless finish, and great clarity in the termination tip and upper shaft. Twin crystals help unite individuals and groups. Twin crystals are said to unite our Earthly energies with energies from higher worlds, so this Twin should be a powerful tool for channeling and for development of clairvoyance and clairaudience. The larger crystal features a pentagonal face opposed by a triangular face, marking this beauty as an Isis wand. Isis crystals like this one have one or more pentagonal or five sided faces opposed by three sided faces. Isis crystals can assist us in connecting with the Divine Mother. Isis was known as the Egyptian Queen of Magic and Giver of Life. For both men & women, such a crystal can help to balance the male and female aspects of our beings. Isis crystals assist us to connect with the qualities of the Divine Mother: nurturing, strength, self love, Universal Love and compassion. Isis crystals can help to foster the native intelligence we all have, called Intuition. This crystal is from Goboboseb Mountain, known as Xoboxobos to the natives, located in the Brandberg area, Brandberg District, Erongo Region of Namibia. This piece is so lovely, it looks painted by the hand of the Great Mother herself! This piece emanates violet Light! This Brandberg amethyst point is a good size to hold in your hand during meditation, and to use as a transmitter during energy healing sessions. It could certainly make lots of energy available by simply sitting upon an altar, shelf or desk during an energy treatment or meditation. This phantom was created when a faceted tip formed at one point in the crystal's growth, but the crystal's growth was interrupted for some reason, and then the quartz crystal resumed its crystallization, eventually enclosing the phantom crystal outline within itself. One possibility is that a pocket inside the earth surrounding the crystal dried out, stopping the crystal's growth. When a crystal's growth is interrupted for some reason, a thin dusting of such minerals as pyrite, hematite, chlorite or galena can gather on the termination faces. Perhaps the pocket was later resaturated, triggering another stage of crystal growth. If the crystal's growth then resumes, over long cycles of crystalline growth, the dusting of alien minerals covering the crystal's original termination faces, is incorporated into a much larger quartz crystal than the original. 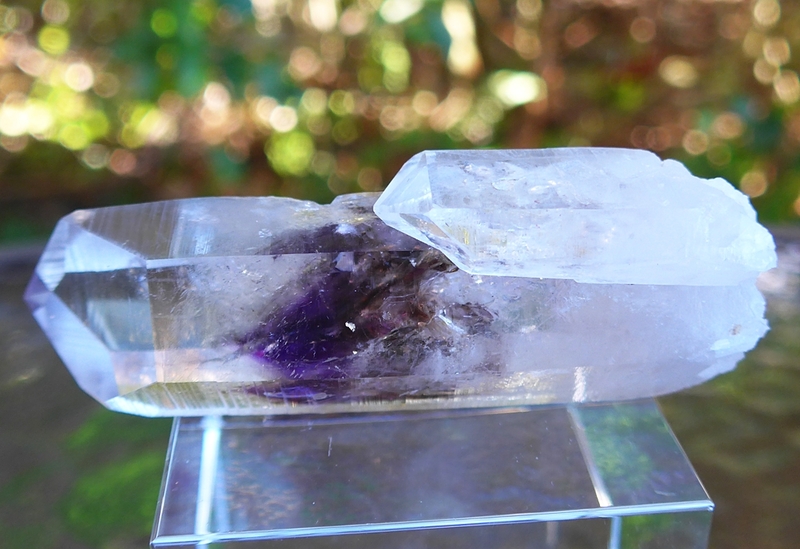 This long growth process creates a piece with the classic phantom crystal point which can be seen within a larger crystal. 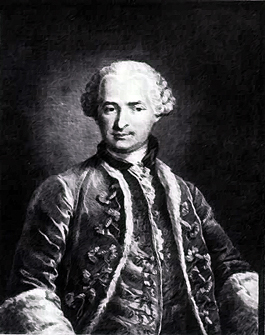 Sometimes one can see two or three phantom points within a given crystal wand, and in such cases, the growth process was undoubtedly stopped and started several times over unthinkably long periods of geological time. The final result is the formation of a "phantom crystal", much larger than the original crystal structure at the point of growth interruption. The phantom typically displays one or more translucent thin, cloud-like layers of mineral deposits resembling small points. Each layer of cloudy inclusion contains a revealing snapshot of the crystal's termination faces in the remote past. Each phantom marking represents a different stage in the crystal's growth -- and each stage can last for hundreds of thousands of years! Each phantom crystal reveals its own evolutionary pattern -- it is as though we can see the record of the transmigrations of the crystal's soul. It should come as no surprise that phantom crystals help us to unearth our own histories, and to come to terms with unresolved issues from our past. Phantoms help us to see our own messy histories and our painful karmic issues as part of a beautiful spiritual evolution. In this way, they help to restore a sense of inner balance, unity and an aura of magic where there had been pain and struggle. The amethyst crystals originating in the Brandberg region of Namibia are considered by gemologists to be unique in the mineral kingdom, and of the highest quality available in the world. The indigenous peoples of Africa consider the entire mountainous region sacred, and call the central peak the "fire mountain". Over 43,000 rock paintings can be found on the mountain and in the surrounding area, in around 1000 different sites. This region was formed over 130 million years by the fossilization of ancient rain forests, and now produces amethysts with exceptional purple color, clarity and a vibrant luster that is umistakable. Very rare smoky-amethyst crystals form in underground pockets of heat so intense that the crystals often blew holes in themselves to release the intense pressure. 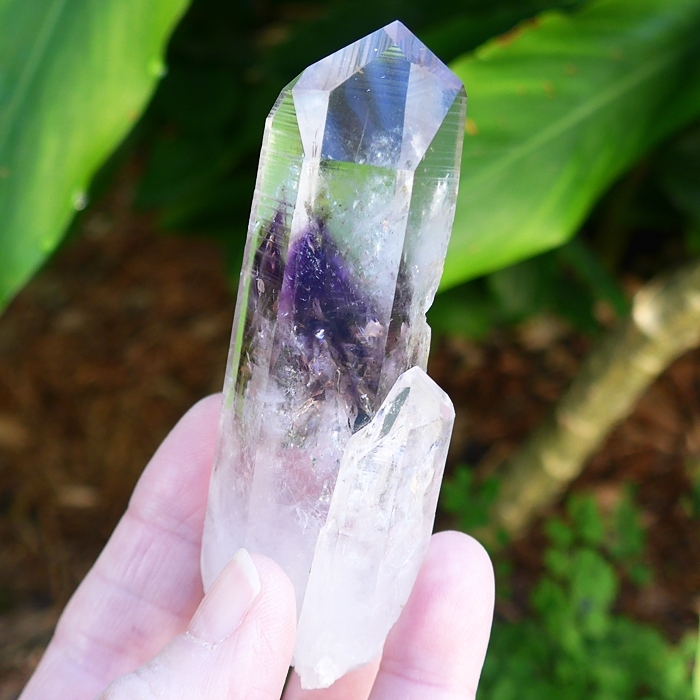 The crystals then produce intense purples, violets and smoky hues within the clear quartz matrix. Brandberg amethyst smoky quartz crystals are said by crystal healers to function as gatekeepers to Higher Worlds, and to generate a powerful field of protection for the bearer, bringing a sense of security, peace and protection. This unique combination of elements in a single crystal inspires the bearer with confidence required to dive deep within the Self to illuminate the shadow side of our being, providing us with the light of Divine Love and the illumination of Divine Guidance from very high frequency Sources in Higher Worlds, enabling us to transform our deepest fears and most persistent negative emotions and thoughtforms into positive thoughts, loving emotions, and new, creative patterns of behavior that empower us to be our highest and best Selves. Lightworkers and crystal healers who have worked with Brandberg crystals report that these crystals have an energy signature that resonates at a higher octave than normal amethyst. 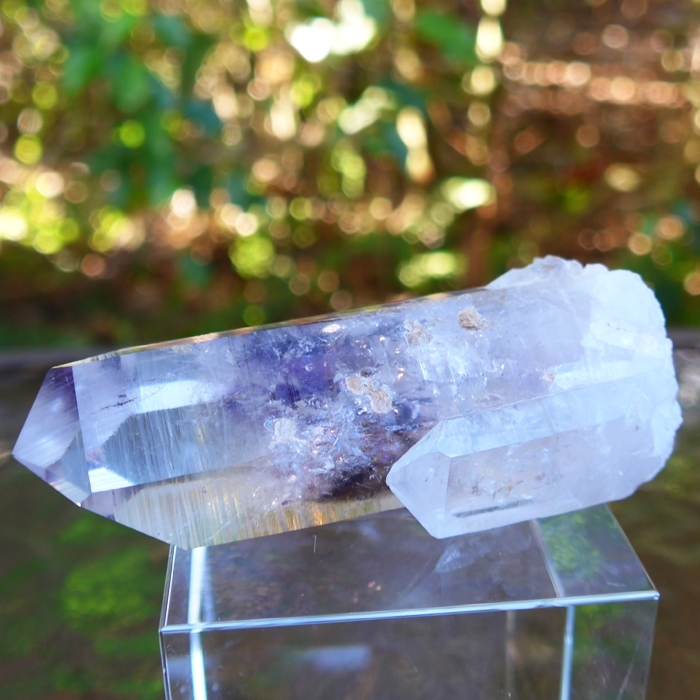 Brandberg amethyst is famous for imparting clarity, healing energy and connecting the bearer to the "peace that passeth understanding", making these gems ideal for meditation. 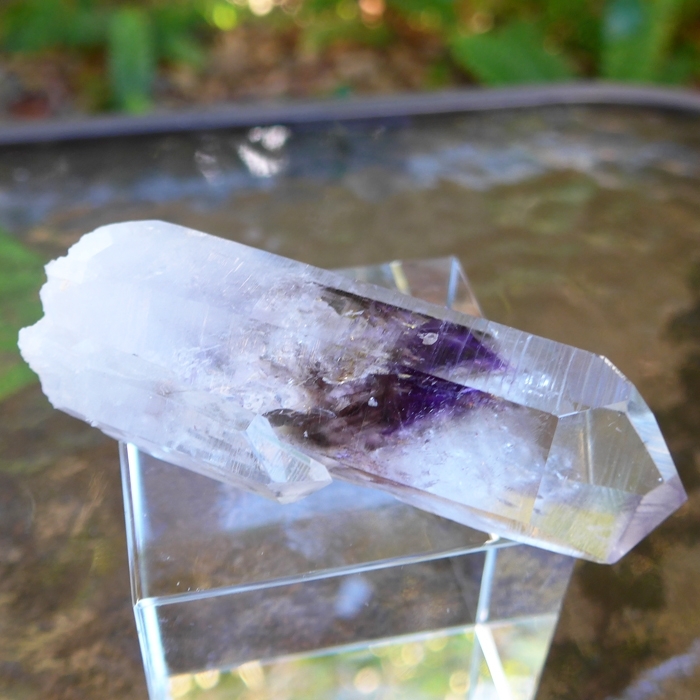 The combination of smoky quartz and purple-violet amethyst activates and energizes the lower three chakras and the crown chakra simultaneously, providing a unique experience. In meditation you feel well-grounded and yet experience an intense opening to Higher Mind. Our own experience in working with Brandbergs supports these reports. 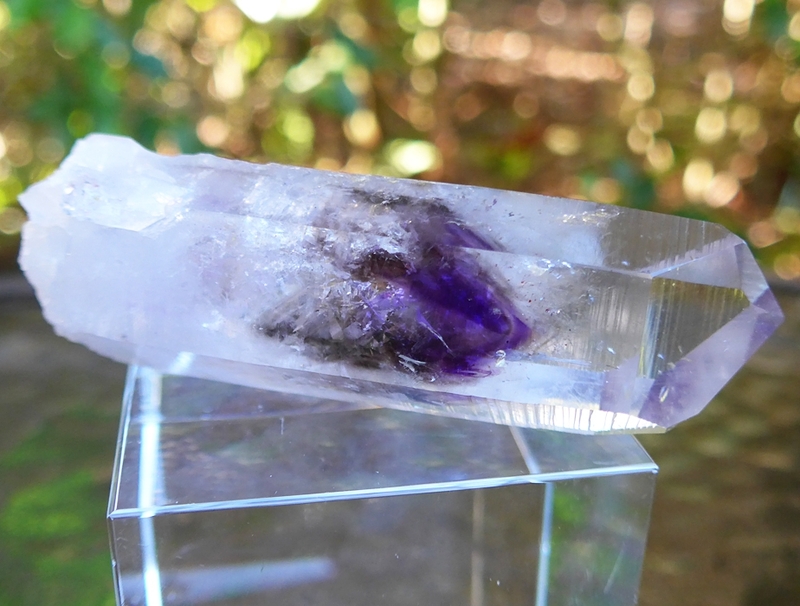 When holding one of these crystals during meditation, one can connect with a realm of violet light that transcended both the rational mind and ones normal connection to Higher Mind. We found it easier to participate in what we can only describe as a simple, joyful Divine presence, which fosters an awareness of the essential Unity of creation and to feel a connection to the Divine Plan which soothes the soul, calms the mind and subtly, gently opens the heart in a most relaxing way. Brandberg amethysts have been used by crystal healers for many years, but their exceptional properties are just now reaching a wider audience as the mass consciousness concerning the metaphysical properties of crystals rises. 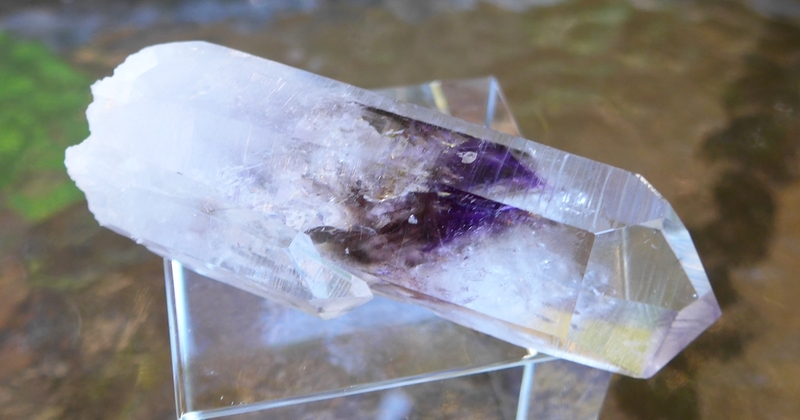 Brandberg amethysts are said by crystal healers to connect directly to great Beings of Light who bring messages from transcendent realms to their bearers. These rare gemstones transmit healing energies that promote great clarity of vision, and tremendous healing to troubled hearts and conflicted relationships, promoting peace and harmony in every aspect of life. Because Brandberg amethyst is also considered to connect the bearer to realms beyond traditional concepts of Time and Space, this healing gemstone is also said to be ideal for healing the ancient wounds of childhood and even past lives, transforming negative emotions and thoughtforms into more positive patterns, and bringing about significant changes in behavioral patterning as well. We trust that you will use this powerful crystal with loving wisdom and respect its long journey in the Earth that has lasted for many long historical cycles. This crystal is a powerful tool, a love-gift from the Divine Mother. Note: Weight above is shipping weight. Net weight is 109 grams or 3.85 ounces.